Welcome to the conclusion of my flower-based summer series. Summer is over, it’s time to let go of colorful petals and beautiful smells. 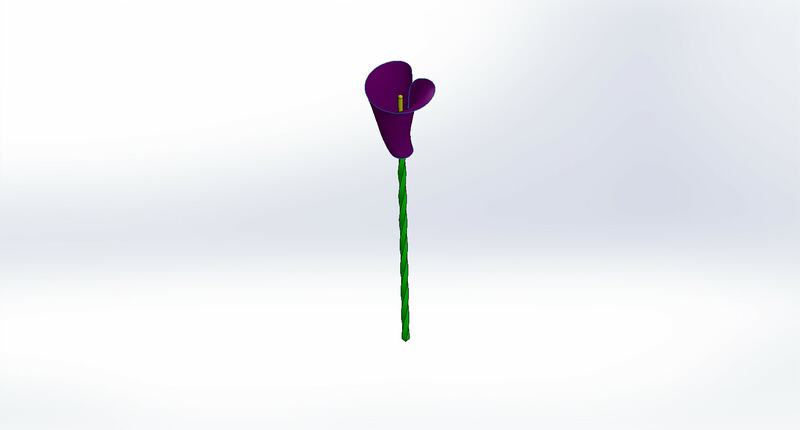 But as one last parting gift, I’m going to show you how to make a cool stem to go with all the flowers you designed this summer by utilizing twist. Most of the time when using the Swept Boss/Base feature, the orientation of the profile I am extruding is set to follow the path without twist. But there are many cool things you can do using twist, as seen in my stem’s shape. And for the Profile Twist option, I chose to “Specify Twist Value”, for Twist Control, I chose “Degrees” and for the final stem, chose 360°. The amount of twist possible will depend on the profile, and the memory it takes up, but SW can easily calculate three times the twist (shown below). 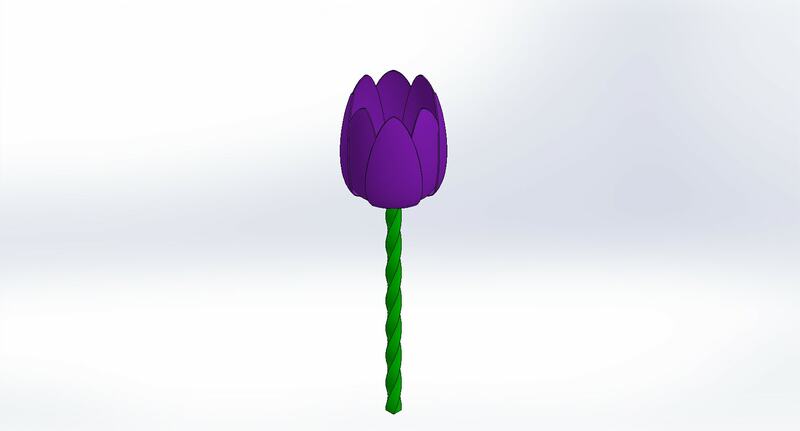 Most of the time we try to prevent twist during extrusions and lofts, but the purposeful creation makes the finishing touch to my virtual garden. Can I add a Custom Property note inside my 3D SOLIDWORKS Model? 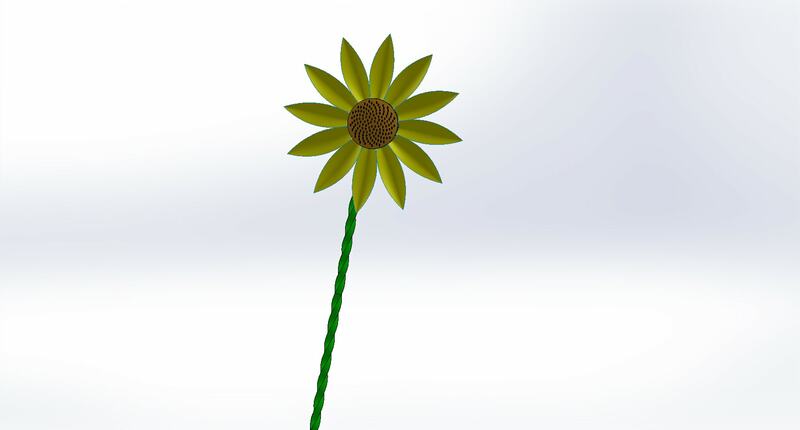 SOLIDWORKS Edrawings 2019 – Save as HTML 5 and no active X!